Come give Ember Yoga a try. We will have shorter beginner friendly classes. 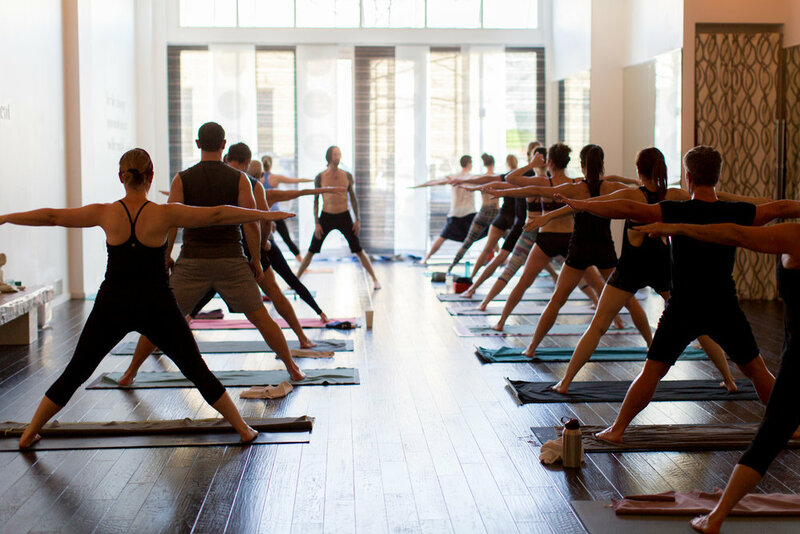 Sign up and reserve your spot on the Ember Hot Yoga App for Android and Apple. Free yoga all day! Come give Ember Yoga a try. Join us for shorter beginner friendly classes. Join Ember Yoga's 30 Day Callenge! Take 30 classes in 30 days and win prizes! Grab a card from the front desk, add your name, intention and start date. Hang on the challenge board. You must begin your challenge between October 1st and 15th. You must complete 30 classes in 30 days. Add a sticker to your card for every class you take. Make sure you’re checked into class. We will double check class attendance on your account before giving out prize packs. Two classes in one day is okay, three classes won’t count. Make sure you’re checked into class. If you’re not already a member, we are offering a special pricing option for 30 days of unlimited classes for $119. Sign up at the front desk and we can put your current class card on hold through the challenge. New This Year: if you’re out of town during the challenge, you can take a class at another studio, but you must take a picture and post to instagram and tag @emberyoga, and use #emberyoga30in30 for the class to count. Anyone with a membership or class card can bring a guest for free! We're partnering up with Manduka + Susan G. Komen to benefit the organization’s longstanding battle against breast cancer. All donations for this All Levels Hot Sequence Class will go to Susan G. Komen. Join Tommasina the first Saturday of each month at 10am at Reformation Brewery for a yoga class! Enjoy a all levels flow followed by meditation, and beer! Cheers! Free yoga all day! Join us for our fall open house on Sunday April 29th and enjoy a variety of shorter intro classes. This is a great opportunity to try out yoga if you have been on the fence! Students, join us for free yoga April 16th - 20th. Grab a card from the front desk. Add you name, intention and start date. Hang on the challenge board. You must begin your challenge between March 1st and 15th. You must complete 30 classes in 30 days. Add a sticker to your card for every class you take, regardless of the date. Make sure you're checked into class. We'll double check class attendance before handing out prize packs. Two classes in one day is okay. Three in one day won't count toward your 30. If you're not already a member, we're offering a special pricing option for 30 days of unlimited classes for $119. Sign up on the front desk and we can put your current class card on hold through the challenge. Before you take your last class of the challenge, let us know! Stop by the front desk so we can get your prize pack ready for your while you're in class! 25% off your next Ember boutique purchase! You name in the hall of fame! RSVP to join in as we paint the studio walls. It's time for a fresh coat of paint, eh?! All helpers will receive dinner (pizza! ), drinks and a free Ember tee! Instructors from Ember Yoga teach a class the first Saturday of each month at 10am at Reformation Brewery. Enjoy a gentle yoga class followed by meditation, and beer! 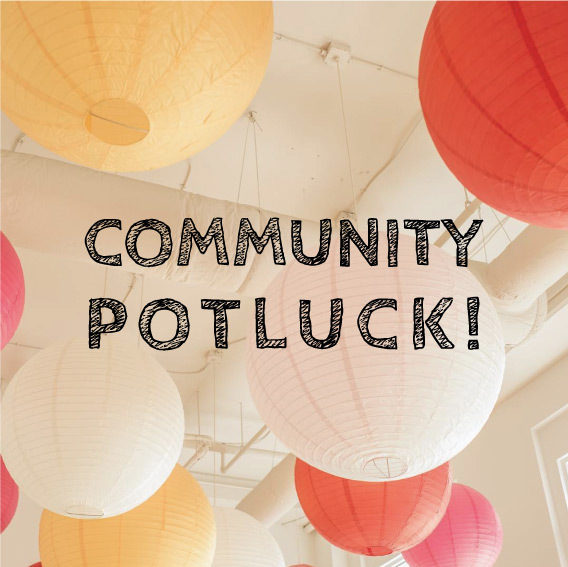 Bring a dish and hang out! Friends and family welcome!! Join us for class on Halloween! Wear a costume and take a class on us! Members can wear a costume and enter to win prizes! Free yoga all day! Join us for our fall open house on Sunday October 15th and enjoy a variety of shorter intro classes. This is a great opportunity to try out yoga if you have been on the fence! Join Ember Yoga and Greenprints Alliance on the Elm Street Green stage for a free all levels vinyasa flow from 9-10! Vinyasa is an energetic class that uses postures to connect motion with the breath. This is open to beginners and experienced yogis alike. Bring your mat, wear comfy clothes and come experience yoga in the beautiful morning air!! Join Ember Yoga and Greenprints Alliance on the Elm Street Green stage for a free all levels vinyasa flow from 9-10 this Saturday, June 24th! Join us for our spring open house. We will have a special schedule full of shorter, beginner friendly classes. This is a great opportunity to hang out, meet our teachers and try something new! A class for all levels, this sequence of 26 postures is perfect for beginners. Vinyasa links breath with movement for an energetic class. We offer heated and non-heated versions, both great for all levels. Yin yoga is a slow deep practice designed to lengthen and stretch your muscles and mind.